Today, I had the honor of speaking at the here are the slides. I want to be clear that this talk isn’t so much about scalability in the performance sense, but more in the IT Governance sense. Deployments are pretty boring, just like most administration. You just hit publish, right? Figuring out the right solution for you is actually pretty difficult. So why is that? So you have all of these different options to choose from and at time it can be confusing. Which method makes sense for your organization? So, how can we get our arms around all of these different options. How can we organize it mentally? One way of approaching this is who do you want to share with? 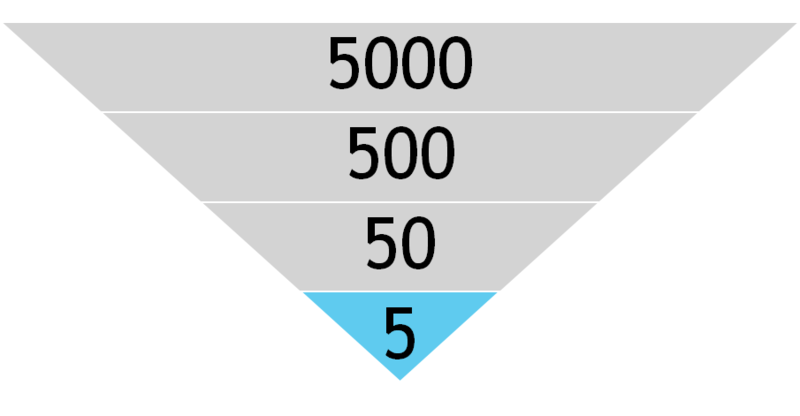 Do you need to reach 5 users, 50 users, 500 users, or 5000 users? This is the framework that I use in the presentation and the rest of the blog post. Any time you make it easier for Chris in accounting to create and share reports without having to talk to Susan in IT, you chip away bit-by-bit at IT authority This isn’t always a bad thing. Sometimes the process governing your IT strategy is a bureaucracy. The reason I bring it up is that you’ll find that the more users we need to reach, the more of a centralized structure we need to support it. Dashboard sharing is great for 5 users but is horrific for 5000 users. It’s just like building a tower or skyscraper. The requirements for a 10 foot building are drastically different than a 100 foot building. So let’s say you want to share with your team, just a handful of people. Well the good news is it’s pretty easy. You hit publish and you click share. 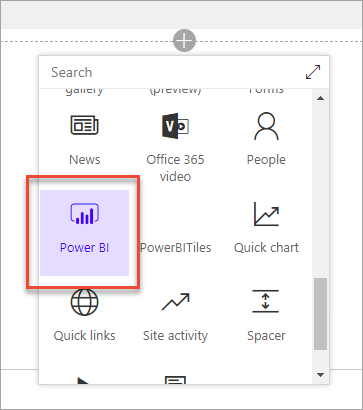 Whenever you make a report in Power BI Desktop you have to hit the Publish button to push it out to the Power BI Service, a.k.a PowerBI.com. Whenever you do that, you are going to be asked what workspace you want to push it to. A workspace is basically a container for all of your report artifacts: dashboards, reports and data sets. The quickest and easiest way to deploy reports is direct sharing. Once you’ve published a report, you can create a dashboard by pinning visualizations to it. From that point you will be asked who you want to add. When you add users to a dashboard you can either given them read-only permissions or the ability to read and share. Last month, they added the ability to share individual reports as well. The overall process is the same. Upload the report, hit share. The difference is now we can finally do that without creating a dashboard. So let’s say that you actually want to collaborate with other people on reports, or at the very least keep them all organized in a central location. The quickest and easiest way to do that is to share the whole workspace. When you share a workspace you can make people either admins or members. You can also decide if you want those members to be read only, or able to edit the contents of that workspace. This is ideal for collaboration or sharing with small groups. But if you have to support 100 users, it can start to break down, especially if all the members have edit privileges. Let’s take a look at the next level of scale. Okay, you’ve been able to share with a handful of users. But now, you need to deploy “production” reports. This means having some sort of QA processes and a way to centrally manage things. We need to step up our game. Organizational content packs were the original way of wrapping Power BI content in a nice bow and sharing it with the whole organization. Unfortunately they are now deprecated and have been mostly replaced by apps. Mostly. The one use case for content packs is for user customizations. Whenever you share an app, the user gets the latest version of that app. With content packs, a user can download the pack and make personalization’s to their copy. Business Intelligist has a good post breaking down some of the differences. 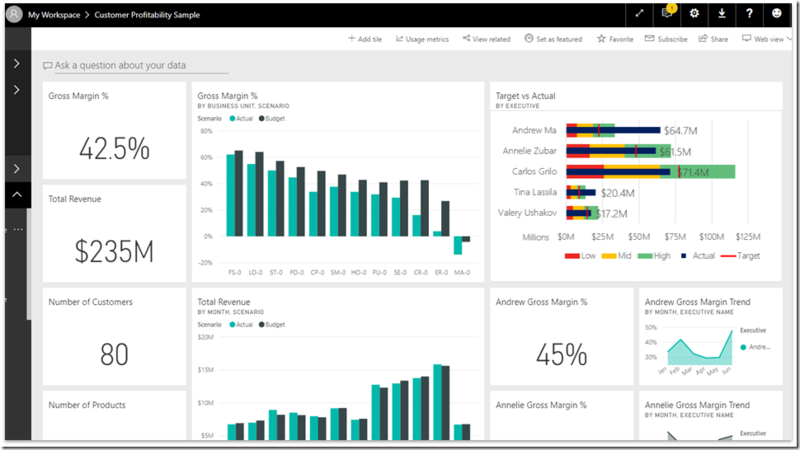 Power BI Apps are the definitive way to share content within your organization. A Power BI app is essentially a shared workspace with a publish button and some nice wrapping around it. QA and staging. Review your reports before deploying. Selective staging. Work on reports without having to publish them. Professional wrapping. Add a logo, description and landing page to your content. Canonical Versioning. By using vehicles like Apps, you can have company endorsed reports. To Share an App, you hit publish and are given a URL to distribute. Users can also search for your app. In the future, you will be able to push content out to your users directly. So let’s say that you want to expand your reach and share reports with everyone in the entire organization. In that case you will either need to a) change your licensing approach, b)move away from powerbi.com, or c) both. 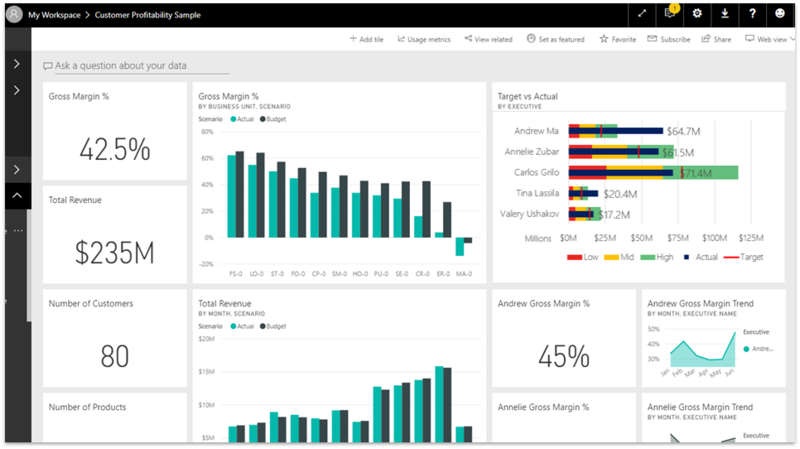 Power BI Premium is ideal if you have lots of users and lots of money. With Premium, instead of licensing users you license capacity. You are essentially paying for the VMs behind power bi service instead of the individual users viewing the content. Power BI Premium is a licensing strategy, not a deployment strategy. The deployment is secondary. Remember what I said about lots of money? 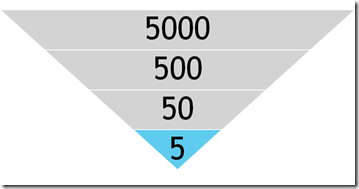 The full Power BI Premium SKUs start at $5000 per month. 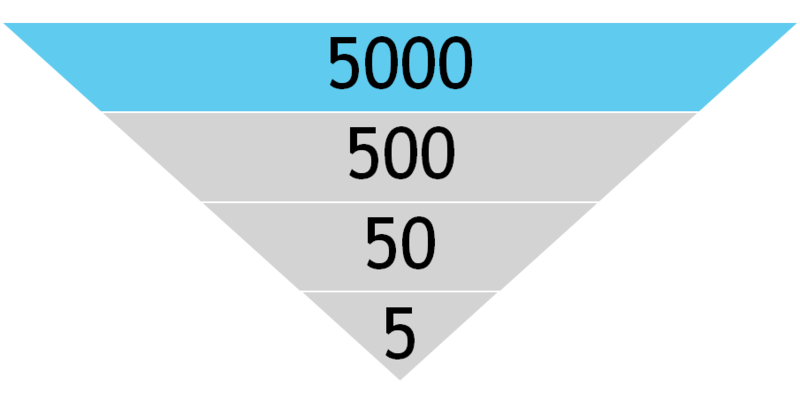 If you are paying $10 per user per month, the break-even starts around 500 users. That’s a lot of users. From a user experience perspective standpoint, absolutely nothing changes with changes. you mark a workspace as premium, and now it’s isolated and free to users. 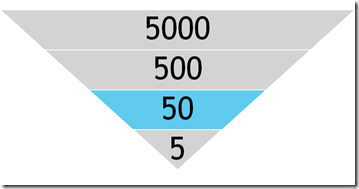 Power BI Premium also offers scalability benefits. Larger data sets, better performance, more frequent refreshes. 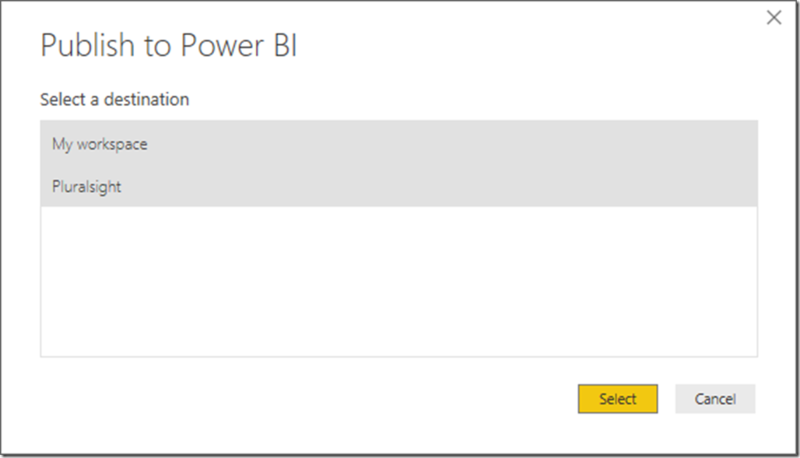 If you are bumping up against the limits of the Power BI Service, Power BI Premium might make sense for you. The whitepaper goes into much more detail. 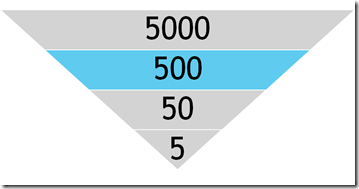 To deploy a report to SharePoint Online, crate a new page and then add the Power BI Web Part. Once you add the web part, you have to specify the URL of your report and you are done. From a licensing perspective, users with need to have Power BI Pro, or you can use the EM SKUs of Power BI Premium. 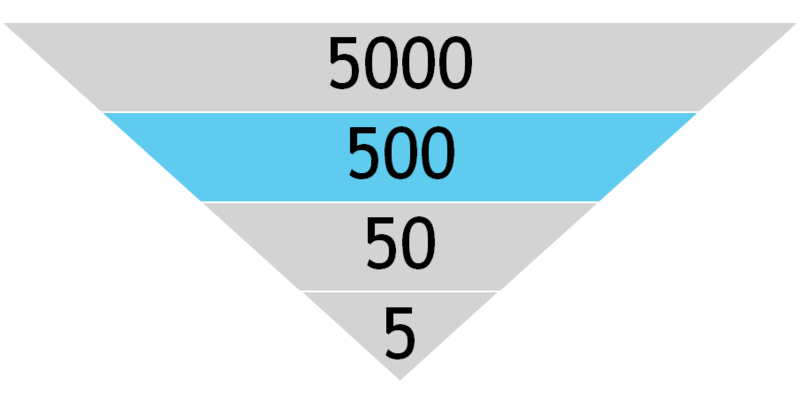 The EM levels with cost you $625-$2495 per month. EDIT: This section is incorrect and will be updated. Please see David’s comment at the bottom. 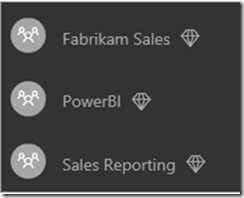 For a long time, the #1 requested feature was Power BI on-premises. 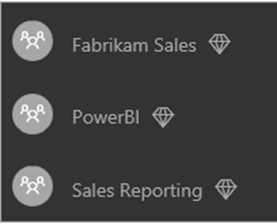 Power BI Report Server is basically SSRS with support for rendering Power BI reports. 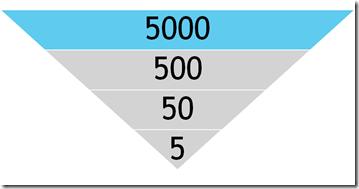 The deployment story is very similar to SSRS reports. Users would go to the web portal and open up reports from there. I expect that they are going to continue to improve upon PBI Report Server, but as with an on-prem solution, it’s always going to be lagging behind the SaaS model. So let’s say that you want to go a little bit broader, what if you want to share with people outside of your organization. What if you want to share with everyone? The simplest and easiest way to share with people is to use Publish to Web. When you publish a report you will be given a public URL and an iframe for embedding. If you use publish to web, it’s completely free to anyone to view. However, your data is publicly available. Anyone with access to the URL can view the underlying data. If this sounds bad, be aware that you can disable publish to web at the tenant level or for specific security groups. 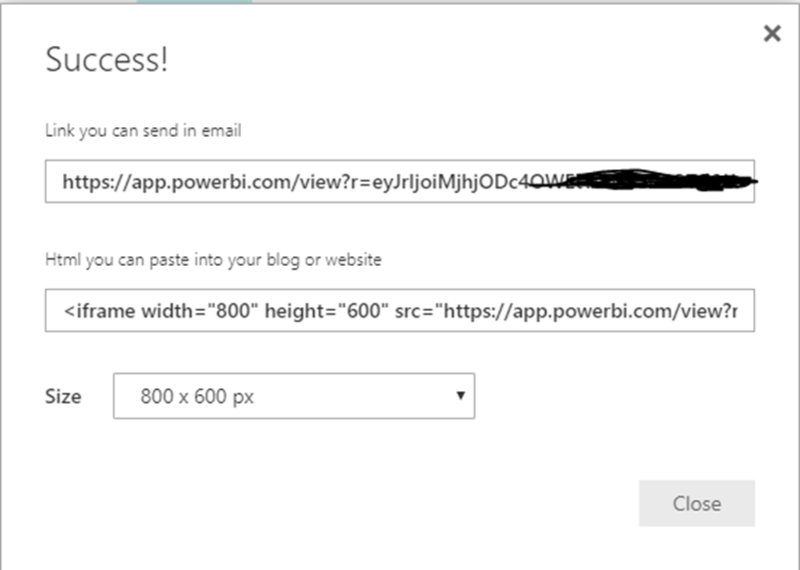 To use Power BI Embedded, you are going to need a web developer. There are no two ways about it. And web developers are expeeeensive. The other thing to know about Power BI embedded is that it depends on Power BI Premium to back it. So you are paying for capacity, not users. 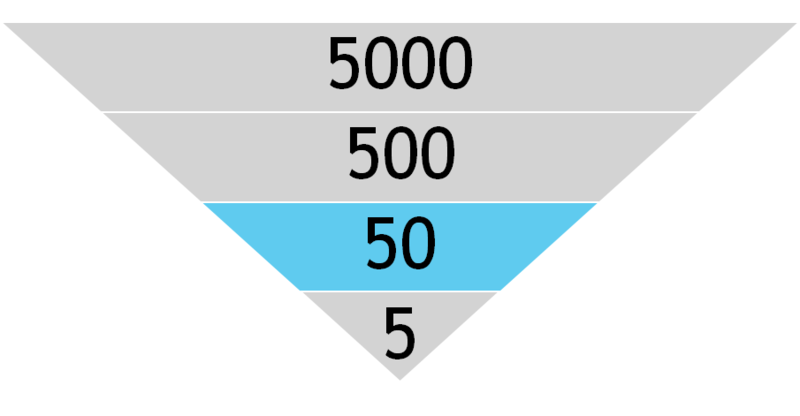 In this case you are using the A SKUs, which cost $725-$23,000 per month. That will get you 300-9600 render per hour. If you want to start playing around with it, there are samples available. While this isn’t a way to share with thousands of external users, it bears mentioning that you can share with external users. This is ideal if you have a handful of external clients. The overall user experience is largely the same. The big difference is that their account can live in a different Azure Active Directory tenant. I won’t go into detail about it here, but check this link out if you want to learn more. There is also a whitepaper (AAD B2B) that goes into even more detail. If you head isn’t spinning from all the information, definitely check out the deployment whitepaper. Chris Webb and Melissa Coates go into excruciating detail into all of your options and all the different details to consider. By stating “Unless you have data sovereignty regulations or highly confidential data, you shouldn’t use Power BI Report Server.”, you ignore organizations that have had a deep commitment to creating paginated reports in SSRS over the years or that have to keep them for legacy reasons. Many of these orgs don’t care about QnA or especially Cortana in my experience. A few regret missing out on Dashboards. Also, Scheduled Refresh for PBI reports has been in PBIRS for a few months.